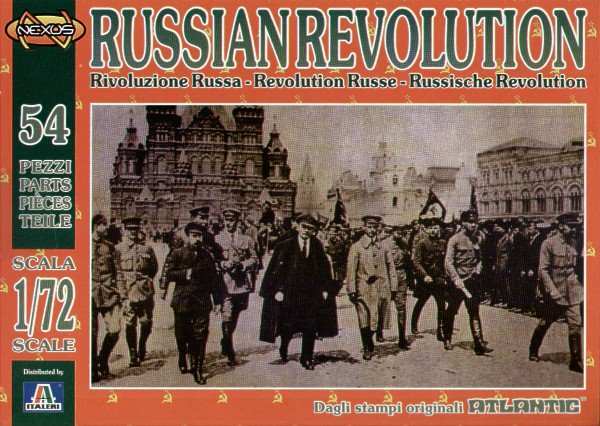 In Russia, the February Revolution (known as such because of Russia’s use of the Julian calendar) begins when riots and strikes over the scarcity of food erupt in Petrograd. One week later, centuries of czarist rule in Russia ended with the abdication of Nicholas II, and Russia took a dramatic step closer toward communist revolution. By 1917, most Russians had lost faith in the leadership ability of the czarist regime. Government corruption was rampant, the Russian economy remained backward, and Nicholas repeatedly dissolved the Duma, the Russian parliament established after the Revolution of 1905, when it opposed his will. However, the immediate cause of the February Revolution–the first phase of the Russian Revolution of 1917–was Russia’s disastrous involvement in World War I. Militarily, imperial Russia was no match for industrialized Germany, and Russian casualties were greater than those sustained by any nation in any previous war. Meanwhile, the economy was hopelessly disrupted by the costly war effort, and moderates joined Russian radical elements in calling for the overthrow of the czar. On March 8, 1917, demonstrators clamoring for bread took to the streets in the Russian capital of Petrograd (now known as St. Petersburg). Supported by 90,000 men and women on strike, the protesters clashed with police but refused to leave the streets. On March 10, the strike spread among all of Petrograd’s workers, and irate mobs of workers destroyed police stations. Several factories elected deputies to the Petrograd Soviet, or “council,” of workers’ committees, following the model devised during the Revolution of 1905. On March 11, the troops of the Petrograd army garrison were called out to quell the uprising. In some encounters, regiments opened fire, killing demonstrators, but the protesters kept to the streets, and the troops began to waver. That day, Nicholas again dissolved the Duma. On March 12, the revolution triumphed when regiment after regiment of the Petrograd garrison defected to the cause of the demonstrators. The soldiers, some 150,000 men, subsequently formed committees that elected deputies to the Petrograd Soviet. The imperial government was forced to resign, and the Duma formed a provisional government that peacefully vied with the Petrograd Soviet for control of the revolution. On March 14, the Petrograd Soviet issued “Order No. 1,” which instructed Russian soldiers and sailors to obey only those orders that did not conflict with the directives of the Soviet. The next day, March 15, Czar Nicholas II abdicated the throne in favor of his brother Michael, whose refusal of the crown brought an end to the czarist autocracy. The new provincial government, tolerated by the Petrograd Soviet, hoped to salvage the Russian war effort while ending the food shortage and many other domestic crises. It would prove a daunting task. Meanwhile, Vladimir Lenin, leader of the Bolshevik revolutionary party, left his exile in Switzerland and crossed German enemy lines to return home and take control of the Russian Revolution.